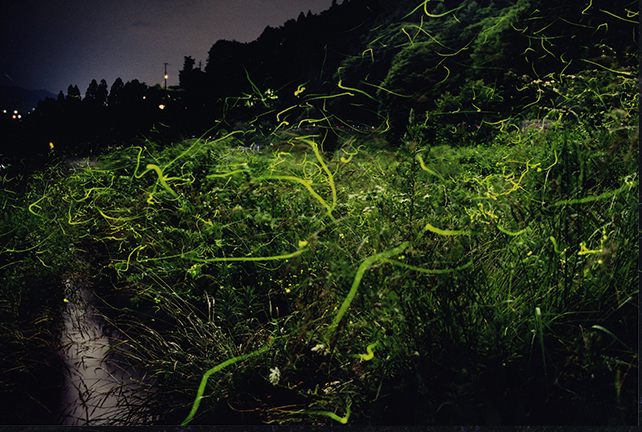 In Matsuokyo Valley, Tatsuno, there are various popular sights for fireflies. 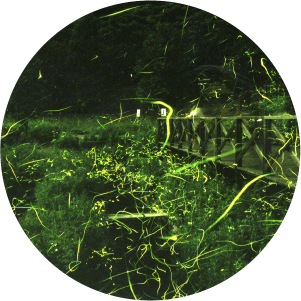 The water of Tenryu-gawa River flowing from Lake Suwa grew fireflies and aquatic life such as thiaridal snails, which are the food of Genji fireflies. 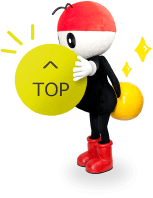 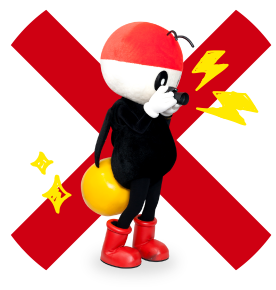 in 1925 and re-designated in 1960. 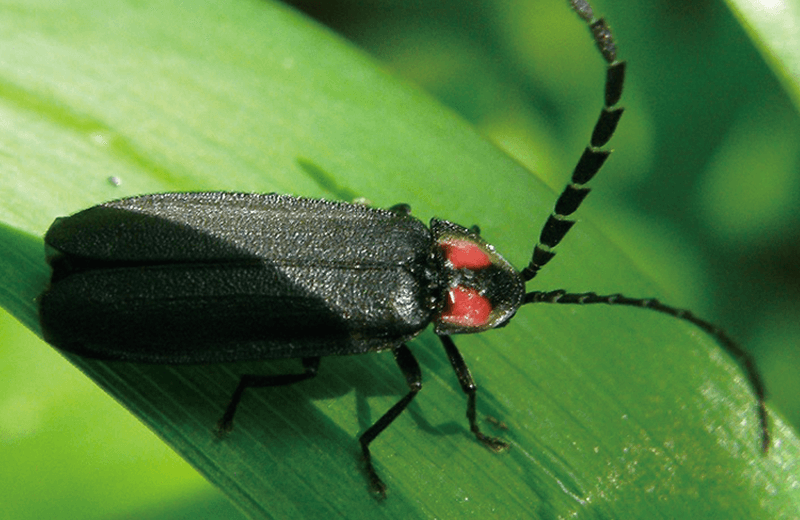 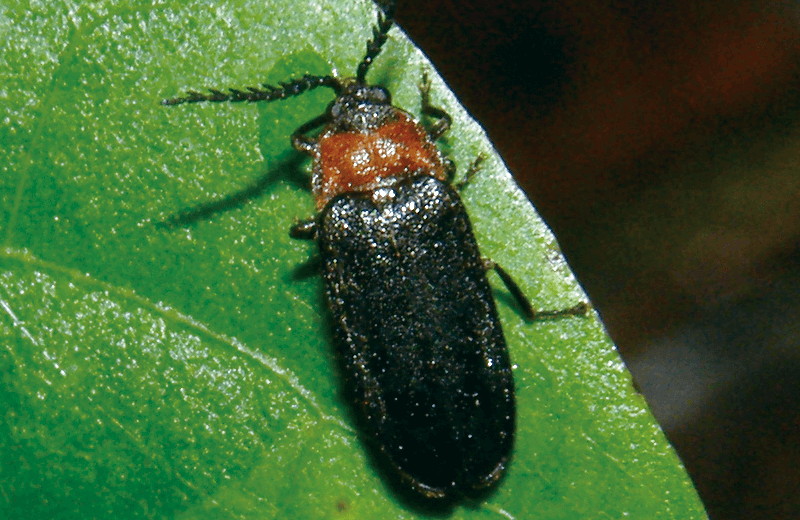 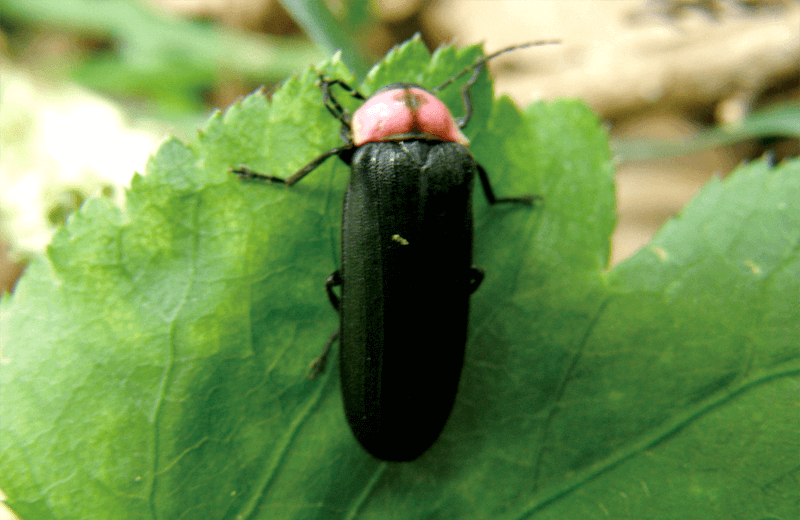 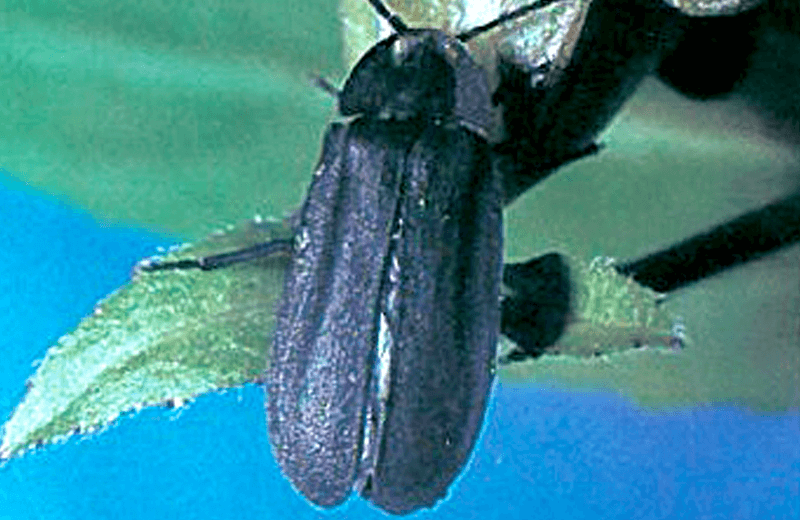 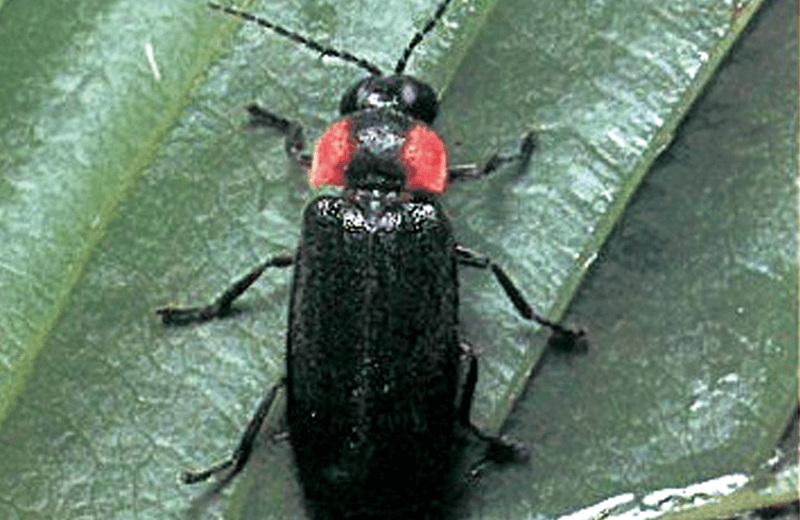 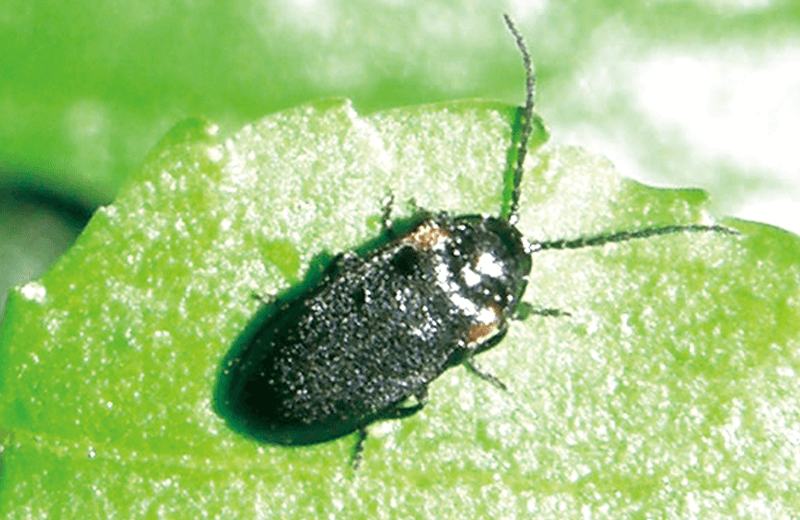 As the amount of the industrial wastewater, the domestic wastewater, and the agricultural chemicals increased from 1950’s, however, the number of fireflies seen in Tatsuno started to decrease gradually. 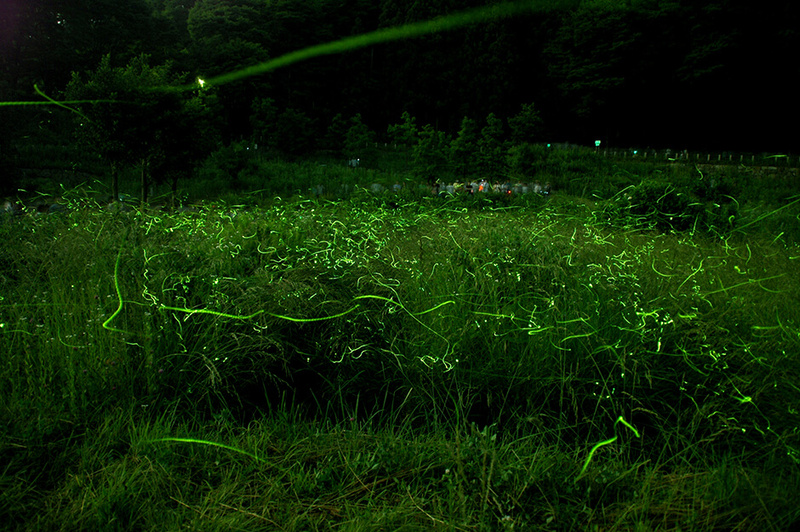 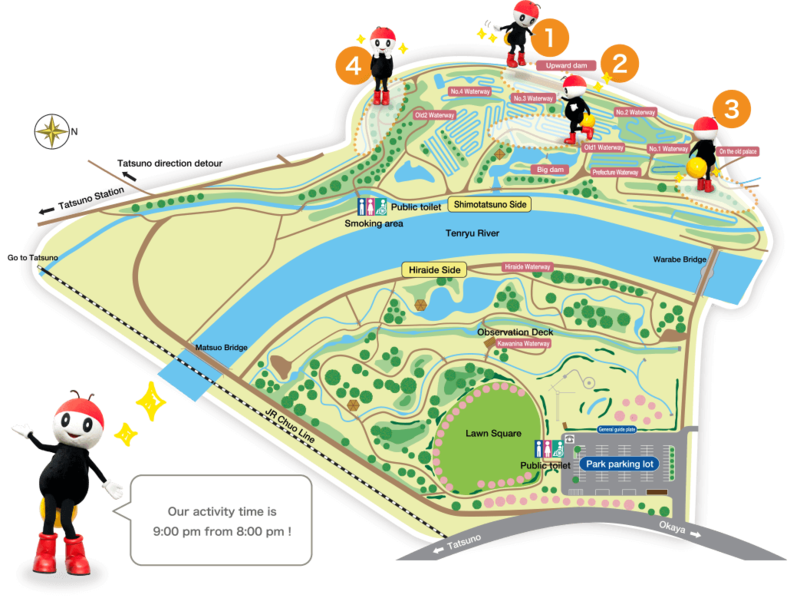 To preserve fireflies, Tatsuno-town has made the following efforts. 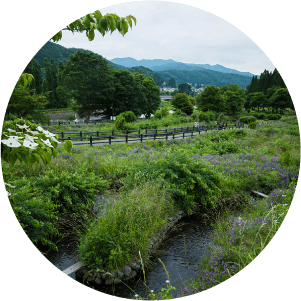 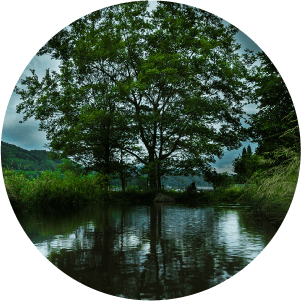 First, a construction work was carried out to add uncontaminated mountain runoff so that the water pollution could be prevented. 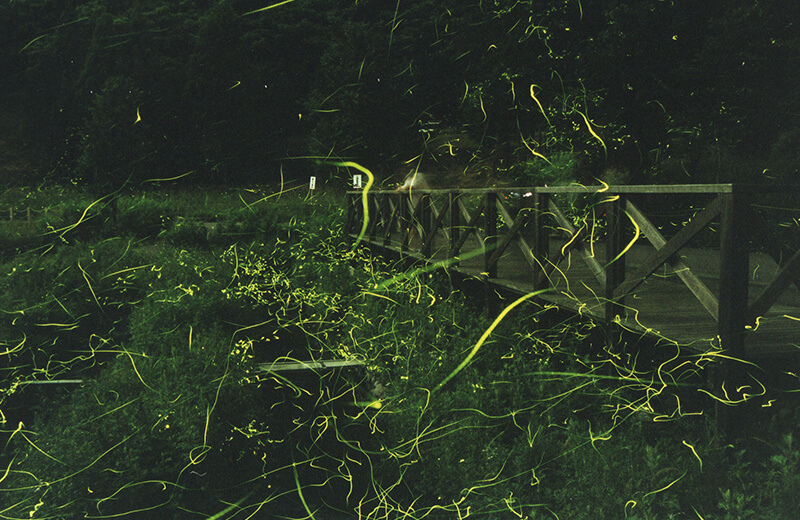 As a result, the number of fireflies started to increase. 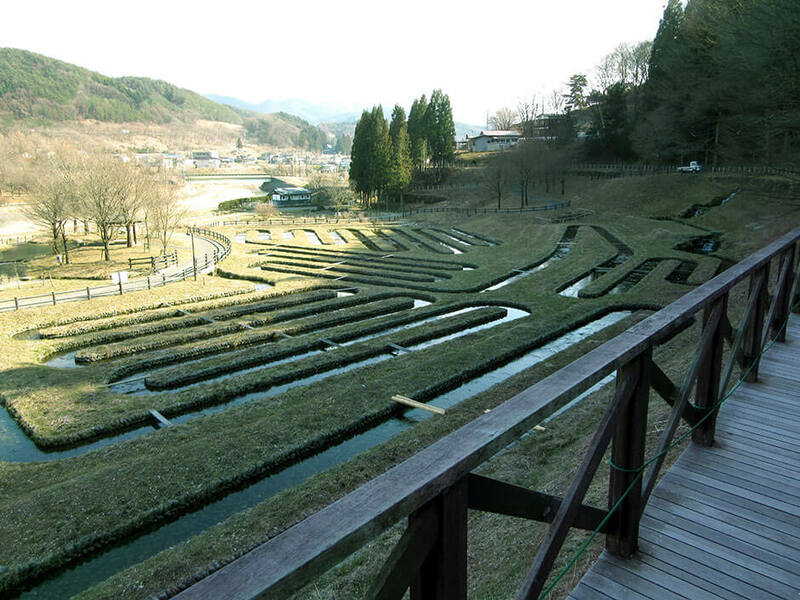 Then the town decided to build waterways for fireflies in fallow fields. 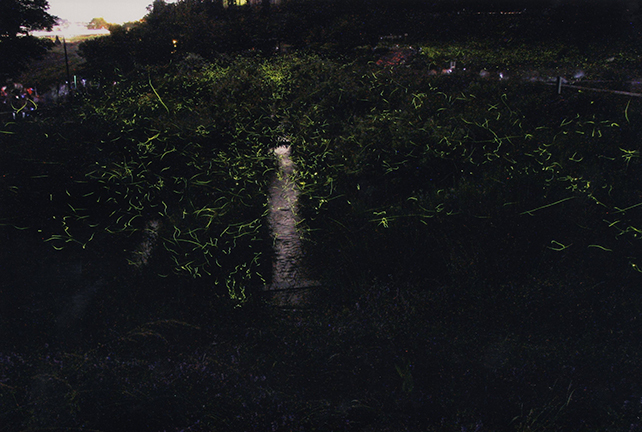 Two years after, a large number of fireflies started to live in these waterways. 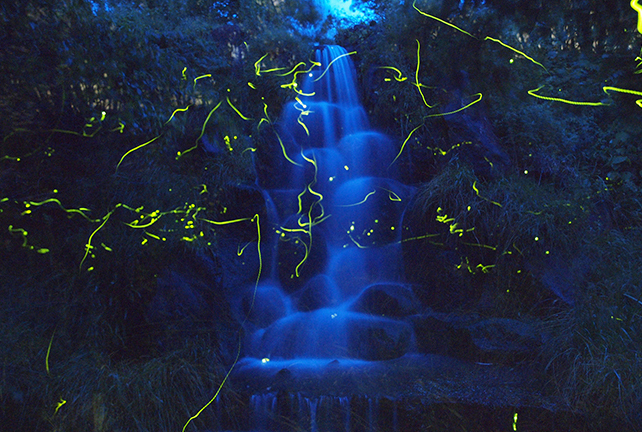 Based on this experience, the town has made the present two waterways for fireflies. 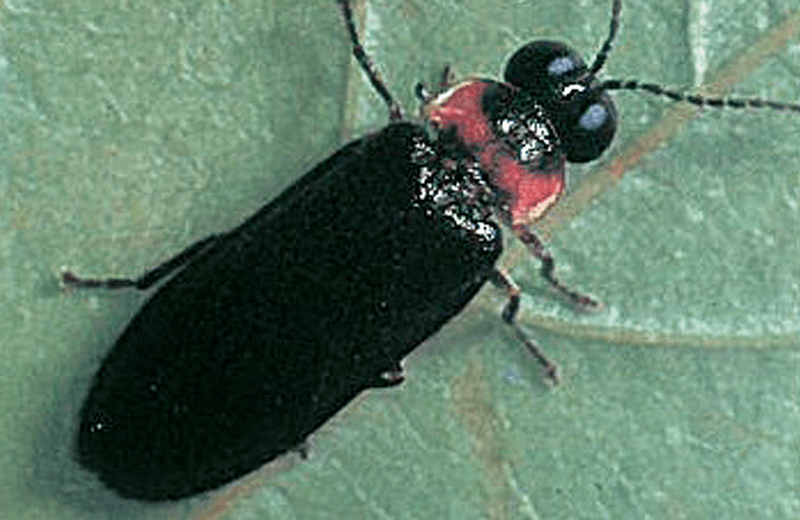 Moreover, the town widened and repaired the old waterways with concrete and wooden pegs, which would make a comfortable environment for fireflies. 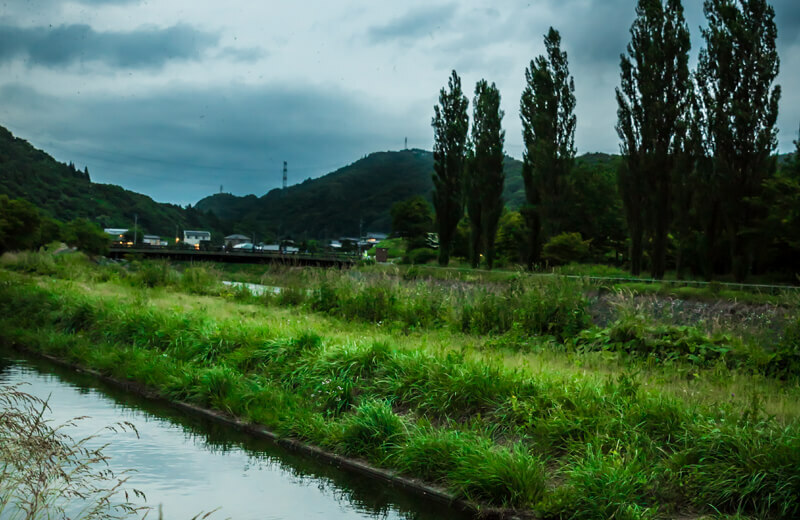 the town has continued weeding and dredging up of mud around the waterways to maintain them to provide fireflies and thiaridal snails with livable home at all time. 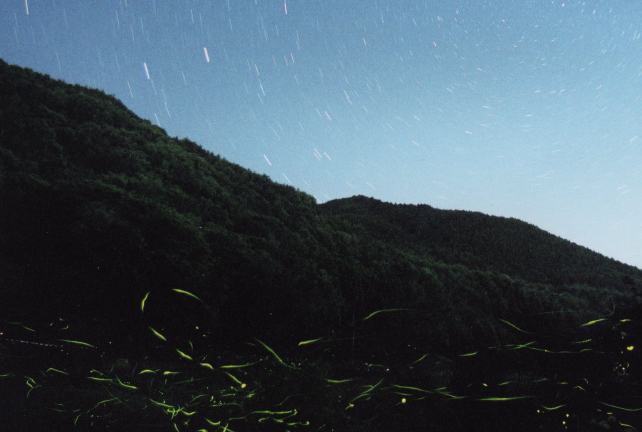 All these efforts have made us possible to see numerous number of fireflies like the old days even today in Matsuokyo Valley. 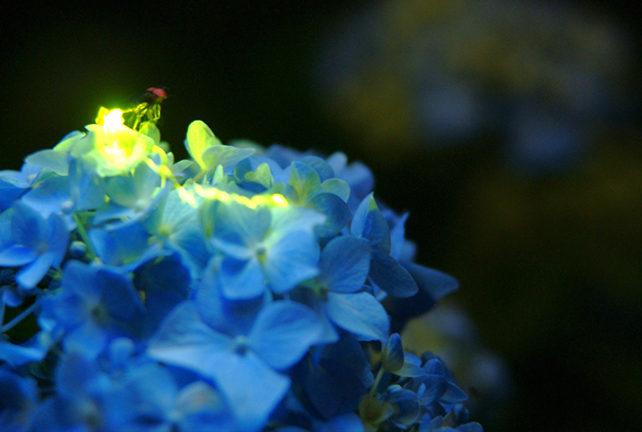 Every year in mid-June, the best time to see fireflies, “Tatsuno Firefly Festival” is held on a large scale for the whole town. 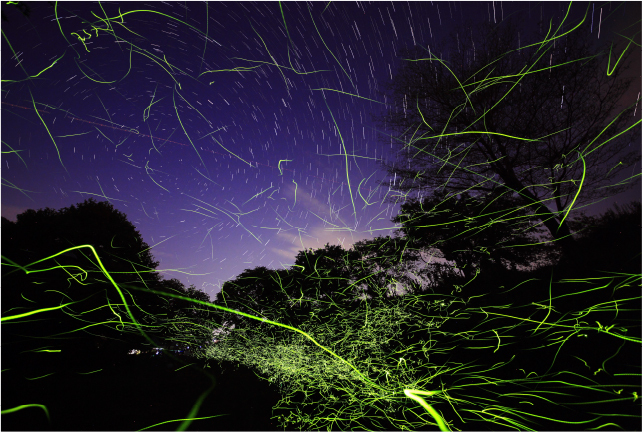 Quite a lot of people from other prefectures visit Tatsuno to enjoy watching fireflies.